I think if I could eat pastry with everything, I would. 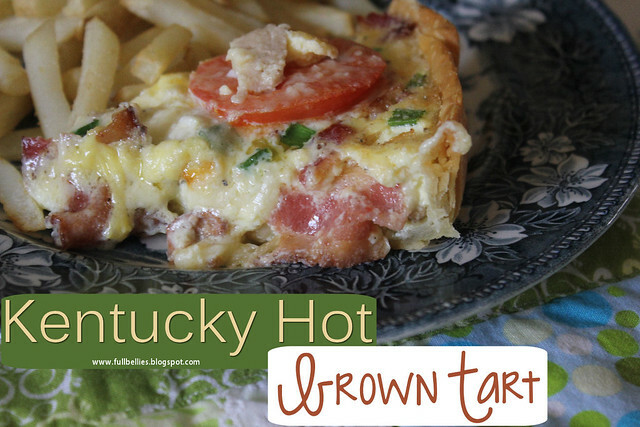 I just love a good pie, whether savory or sweet, and especially when it's flaky and buttery and delicious. This meal was enjoyed by everyone here at home, and my 9 year old thought it was the best thing on earth. 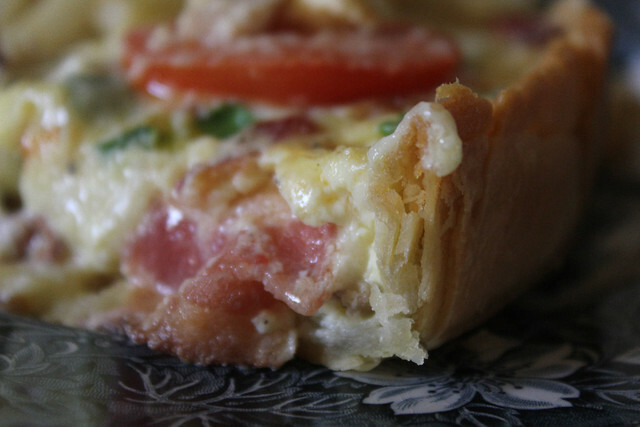 The only tweaking I did was that I only put the tomato slices on half of the tart, because my boy does NOT eat tomatoes. 1. Preheat oven to 425°. Unroll piecrusts; stack on a lightly greased surface. Roll stacked piecrusts into a 12-inch circle. 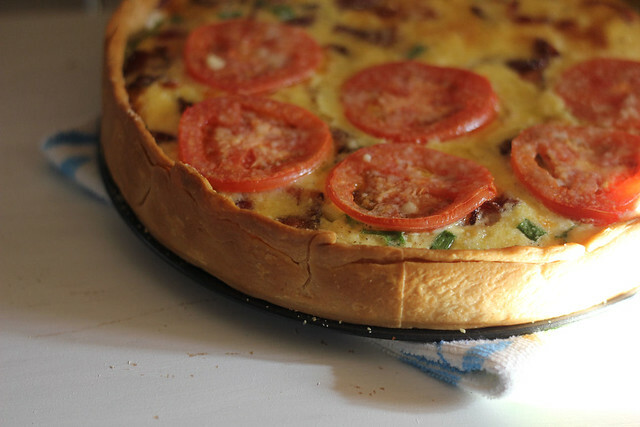 Fit piecrust into a 10-inch deep-dish tart pan with removable bottom; press into fluted edges. Trim off excess piecrust along edges. Line piecrust with aluminum foil or parchment paper, and fill with pie weights or dried beans. Place pan on a foil-lined baking sheet. Bake 12 minutes. Remove weights and foil from piecrust, and bake 8 more minutes. Cool completely on baking sheet on a wire rack (about 15 minutes). Reduce oven temperature to 350°. 2. Layer turkey and next 3 ingredients in tart shell on baking sheet. 3. Whisk together half-and-half and next 3 ingredients; pour over turkey. 4. Bake at 350° for 30 to 40 minutes or until set. 5. Place tomatoes in a single layer on paper towels; press tomatoes lightly with paper towels. Arrange over top of tart, and sprinkle with Parmesan cheese. Bake 10 to 15 minutes or until cheese is melted. Cool on baking sheet on wire rack 15 minutes. This looks so YUMMY Sandra! Looks really similar to a tomato pie we've had-so good! I don't have a tart pan, so I'm hoping it would make a great savory pie!